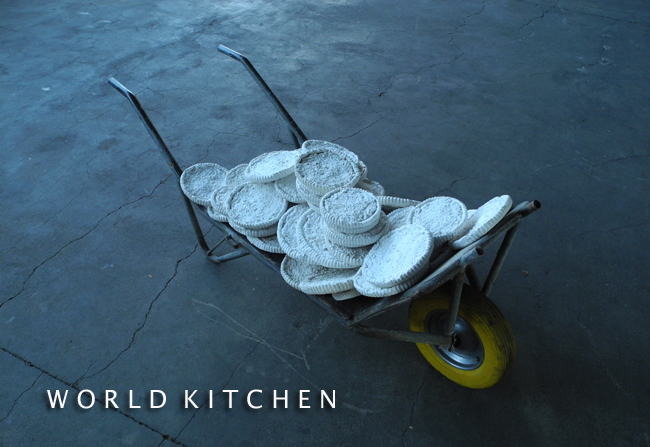 W O R K S projects . museum . galleries . 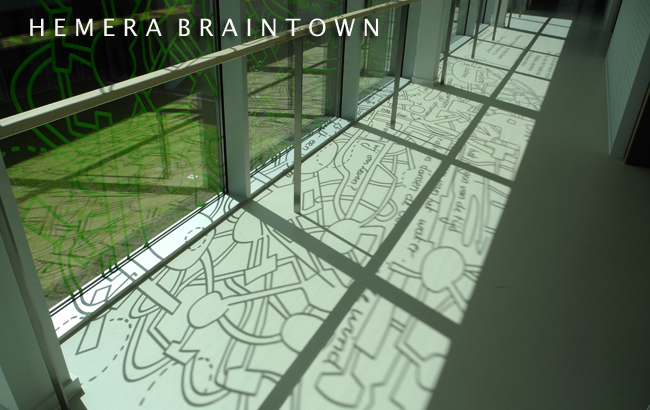 art centres . art festvals . private houses . health care . G U A R D A I N F A N T E S representation [ 1 9 9 4 - 2 0 1 8 ] . Installation exhibition 'Intimacy' Gallery S&H De Buck Ghent Belgium. L A N D S C A P E / M I N D S C A P E . [ R E M A K E : 1 9 9 8 - 2 0 1 8 ] . 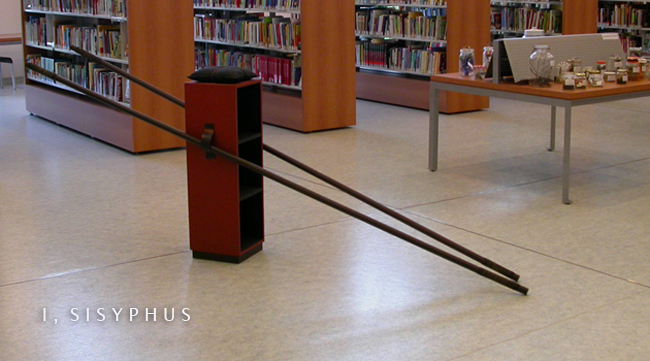 Portable version panorama/installation Art Science Exhibits Humboldt University Berlin Germany. 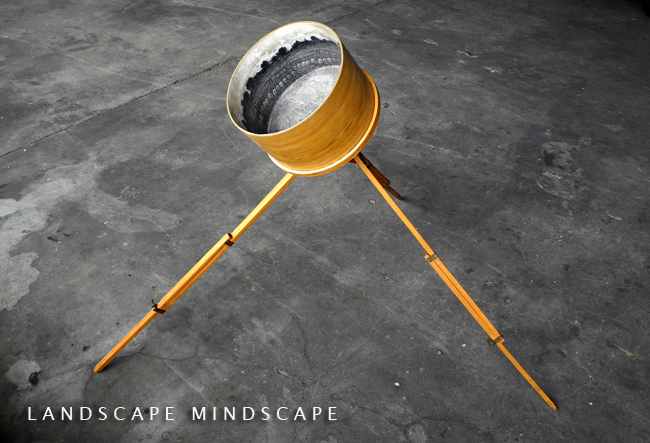 L A N D S C A P E / M I N D S C A P E [ 2 0 1 8 ] . 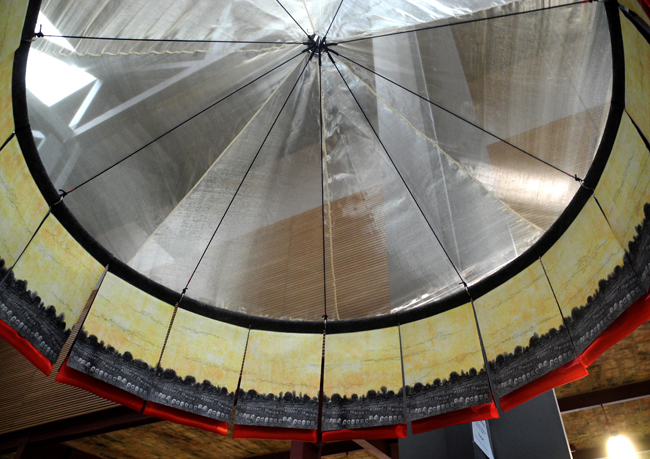 Inside view of panorama portable version Art Science Exhibits Humboldt University Berlin Germany. H A N D M A D E M E M O R I E S [ 2 0 1 8 ] . [Hand written letters from refugees and immigrants] 2017-2019. 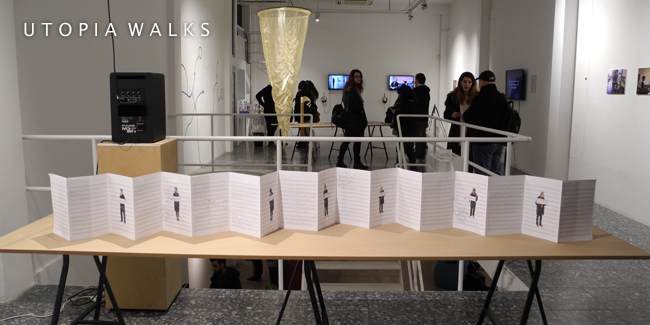 Presentation Platform Projects [independent art fair] the Milena principle Athens Greece. U R B A N E M P T I N E S S / U T O P I A [ 2 0 1 7 ] . 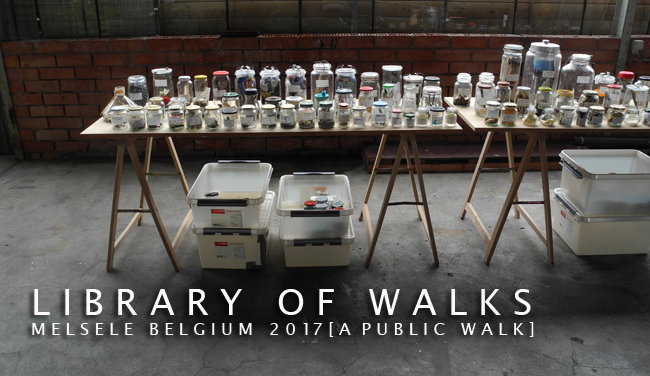 Presentation ARBA/ESA [Académie de Beaux Arts] Brussels Belgium & Urban Emptiness Nicosia Festival 2017. B O X O F W A L K S ( I & I I ) [ 2 0 1 7 ] . 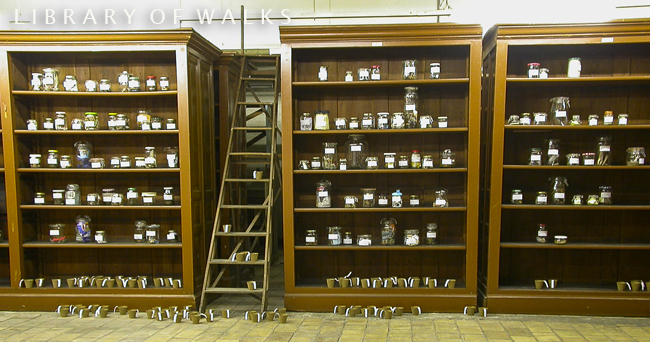 2 nomadic museums for a pop up exhibition. Made of Walking (III). International meeting La Romieu France. L I B R A R Y O F W A L K S [ 2 0 1 7 ] . Installation (reprise version XII) Public walk project 'Happen & Stappen' Melsele Belgium. W O R L D K I T C H E N( I I ) [ 2 0 1 7 ] . 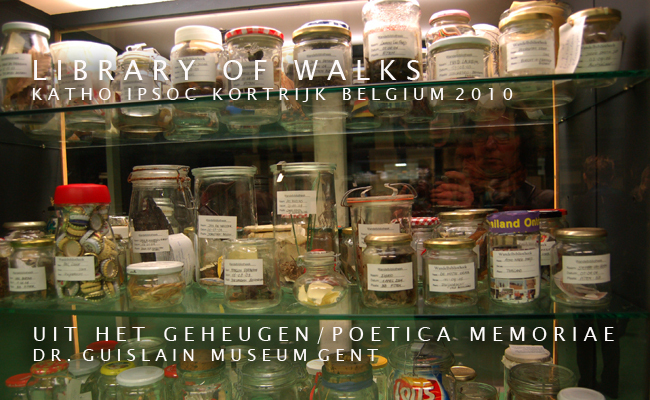 Installation (reprise) Public walk project 'Happen & Stappen' Melsele Belgium. U R B A N E M P T I N E S S [ 2 0 1 7 ] . 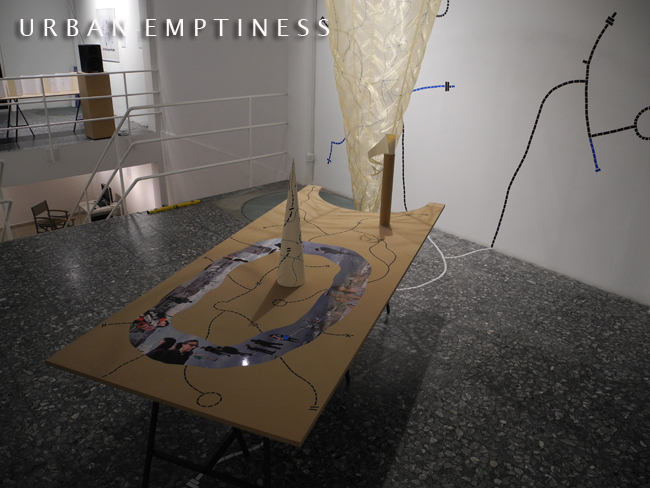 Installation Urban Emptiness Network. NeMe Art Centre Limassol Cyprus. U T O P I A W A L K S / U R B A N E M P T I N E S S [ 2 0 1 7 ] . 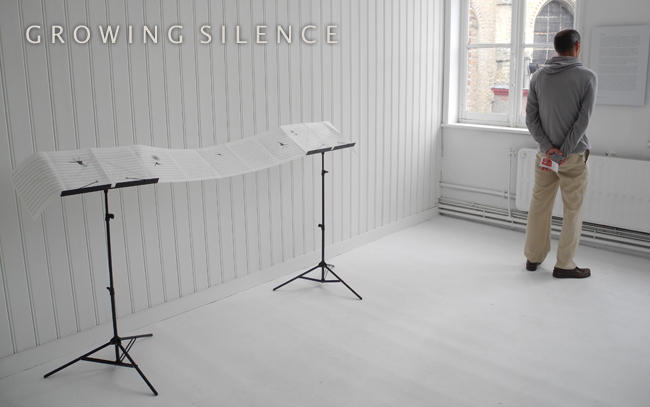 Installation & sound composition for Urban Emptiness Network. NeMe Art Centre Limassol Cyprus. T R A C I N G T H E I N V I S I B L E ( I I ) [ 2 0 1 7 ] . 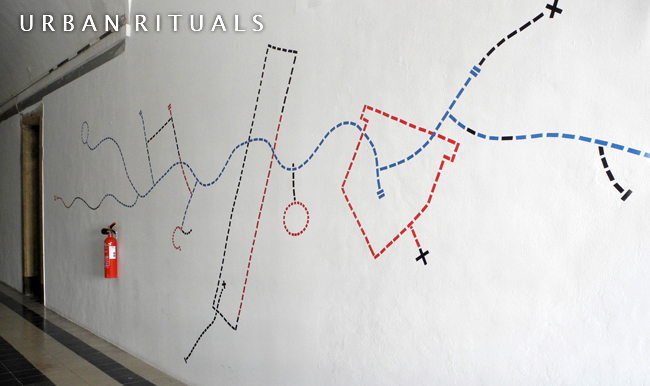 Temporary wall painting [Urban Emptiness Network]. NeMe Art Centre Limassol Cyprus. 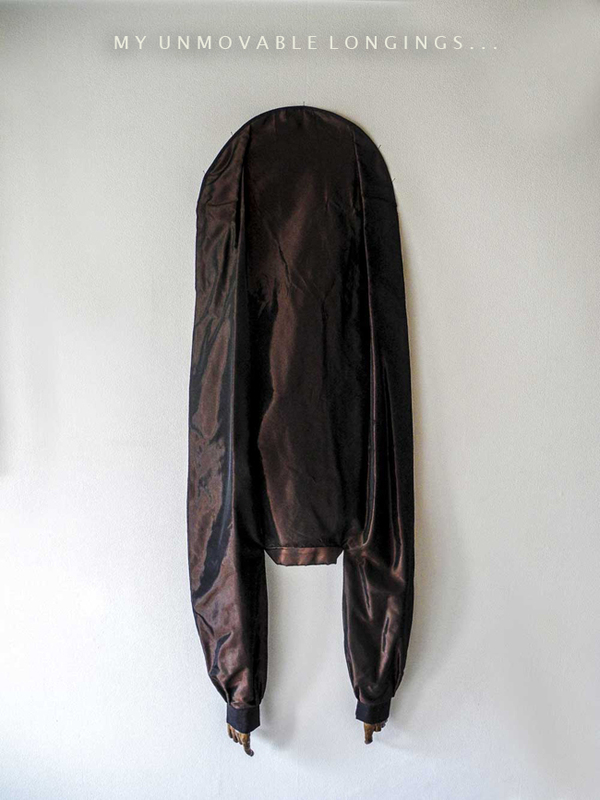 [350 cm x 220 cm]. E X V O T U M [ 2 0 1 7 ] . Sound installation [Passages] Le Collégiale La Romieu France. F L Y W A Y S [ 2 0 1 6 ] . 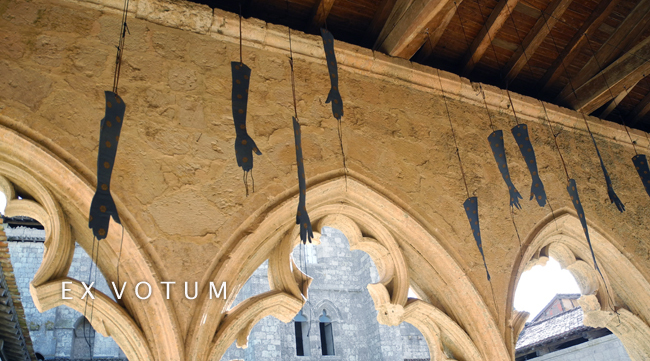 Installation with sound composition [Passages] Le Collégiale La Romieu France. [ 600 cm x 180 cm ]. Installation [Passages] Le Collégiale La Romieu France. U R B A N R I T U A L S / R E S O U N D I N G C I T I E S [Brussels, Athens & Lisbon] [ 2 0 1 6 ] . 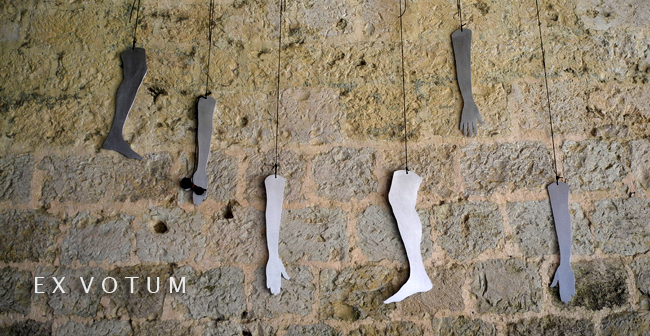 [Urban Rituals/Resounding Cities] in situ Wall installation. Belas Artes University Lisbon Portugal. G R O W I N G S I L E N C E [ 2 0 1 4 ] . Installation score Fly Ways [Kunstenfestival Watou] Watou Belgium. B R A I N T O W N [ 2 0 1 3 ] . [Hemera Building (Dementia) Sint-Jans Baptiste]. Zelzate Belgium 2013. [720 cm x 900 cm]. T R A C I N G T H E I N V I S I B L E [ 2 0 1 3 ] . [Hemera Building (Dementia) Sint-Jans Baptiste at 2 levels] Zelzate Belgium 2013. A S C E N T O F S I L E N C E [ 2 0 1 3 ] . 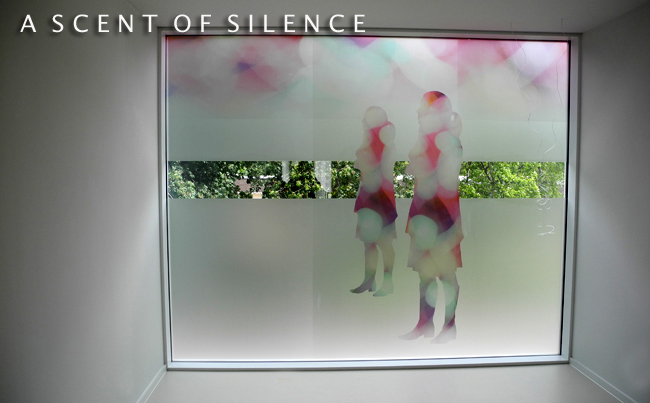 [Hemera Building (Dementia) Sint-Jans Baptiste] silent room for prayer. Zelzate Belgium 2013. O U R N E W A R R I V A L S - K O M E L I N G [ 2 0 1 2 ] . 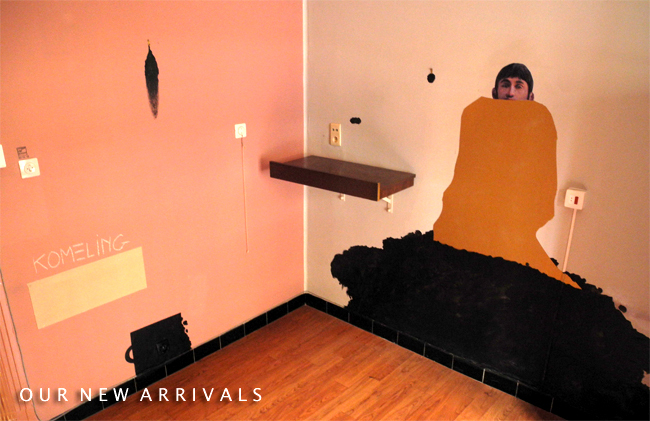 Temporary in situ wall painting in an abandoned elderly home. Art project WZC Briels Melsele Belgium. 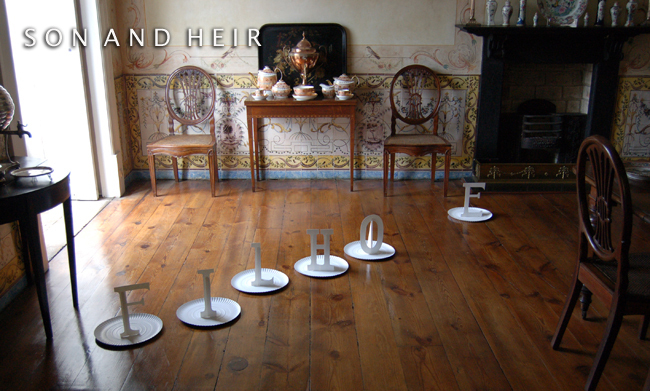 F I L H O E H E R D E I R O [ S O N A N D H E I R ] [ 2 0 1 1 ] . 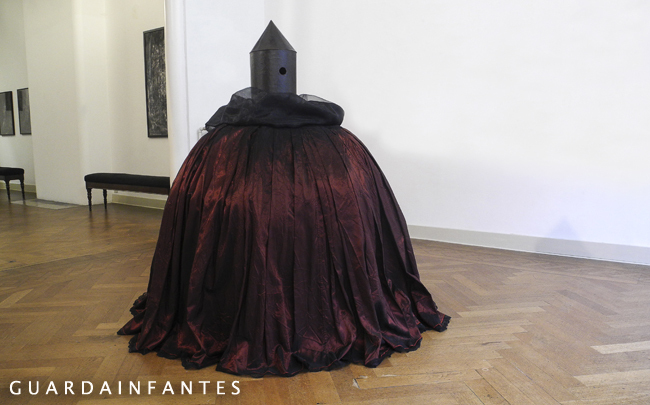 In situ installation [Masters & Slaves] Biscainhos Museum Braga Portugal. 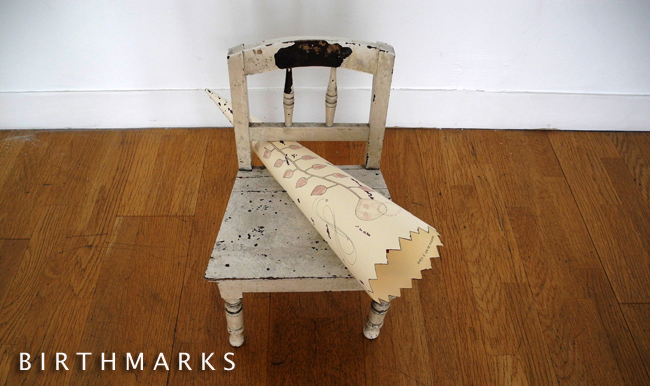 B I R T H M A R K S [ 2 0 1 1 ] . In situ installation [Masters & Slaves] Museu Noguiera da Silva. Minho Universty Braga Portugal. T H E P R O M I S E [ 2 0 1 0 ] . 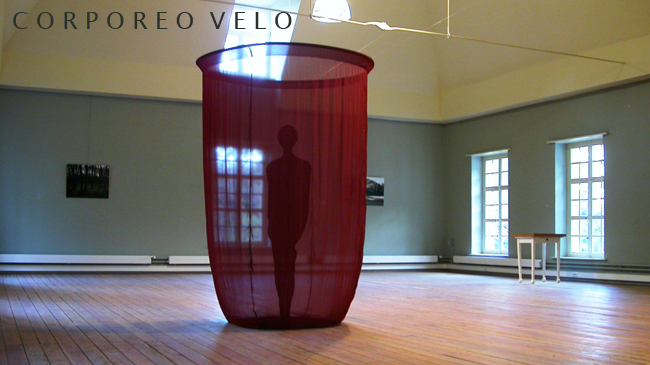 Installation with a ball gown with 3000 tailor pins. 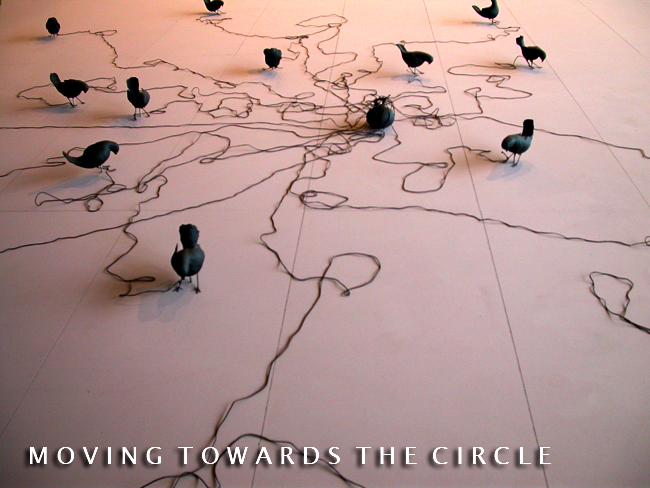 'Art Athina' Athens, 'Wanderlust' Braga Portugal, 'Passages' La Romieu France. 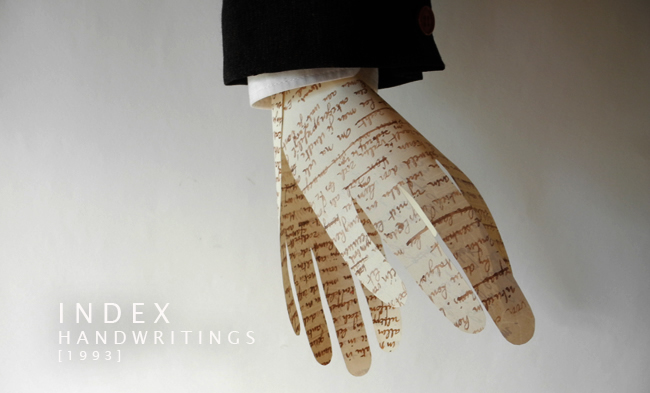 A X I S M U N D I [ B O X ] [ 2 0 1 0 ] . 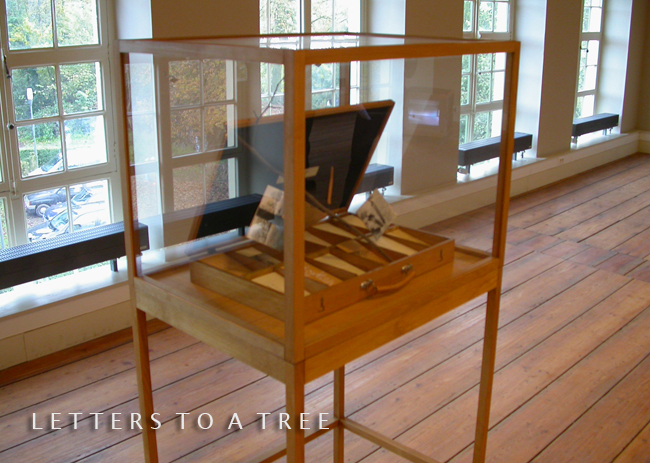 Presentation exhibition of a ensemble of wooden boxes: 'Gras dat altijd verder groeit' of writer and poet Luc Delue. Boekentoren University Ghent Belgium. (inner view box with drawings and watercolors on matchboxes and (right) print of photo in the lid). 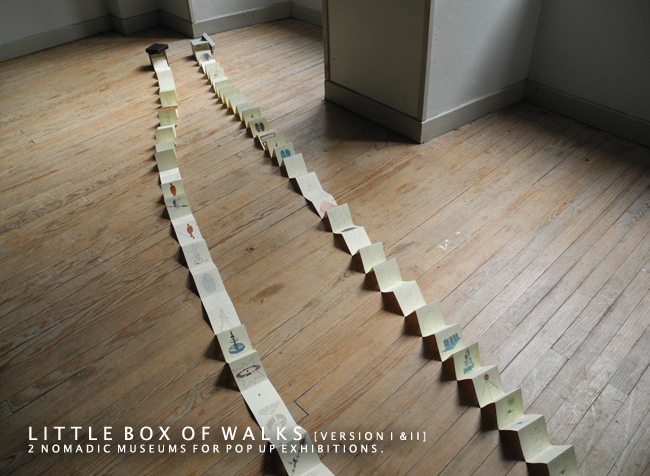 Installation (reprise version VIII) Public walk project Dr Guislain Museum/KATHO IPSOC Kortrijk Belgium. M A T E R / W A T E R C A R R I E R [ 2 0 0 9] . 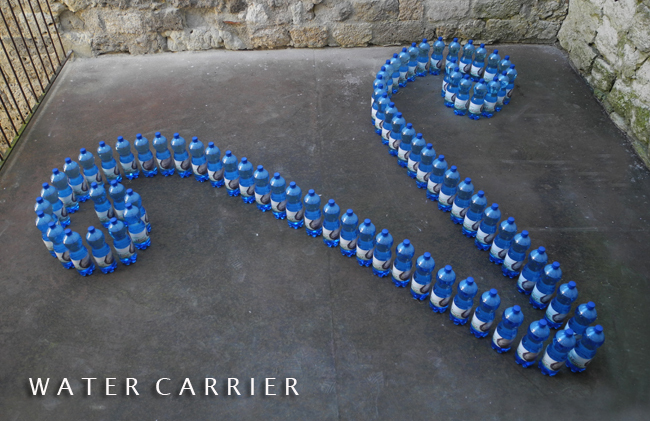 In situ installation with 76 plastic 'Mater' water bottles. La Romieu France, 'Splash' Antwerp, Bruges Belgium. W O R D S O V E R W A T E R [ 2 0 0 9 ]. 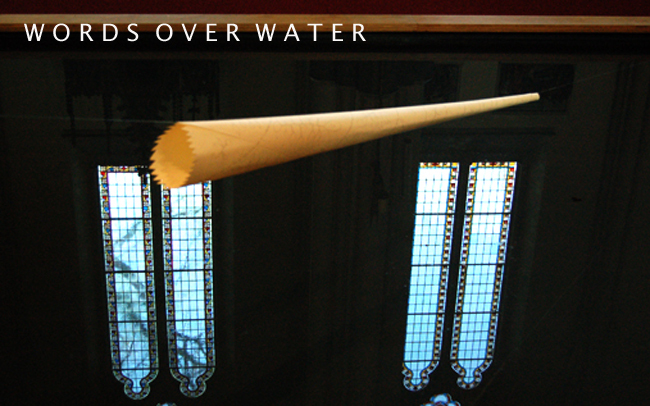 In situ installation with cone drawing floating over water. H. Magdelena church Bruges Belgium. T R E E O F T H O U G H T S [ 2 0 0 8 ] . 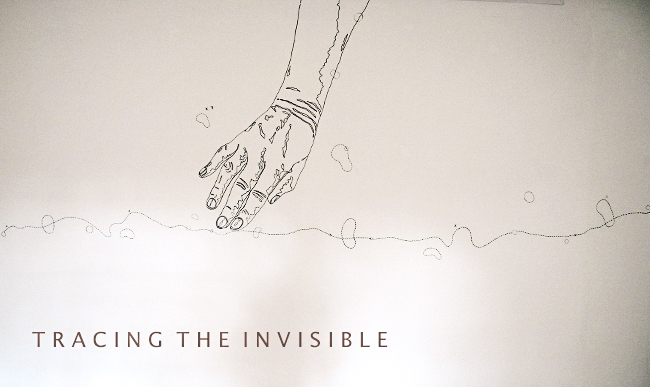 Installation social project [Wit.h] with people with disabilities. Buda Fabriek Budaeiland Kortrijk Belgium. B U Z Z E R ( I I I ) / Z W E R M E R [ 2 0 0 7 ] . Installation Health Care Centre De Sleep Ghent Belgium. 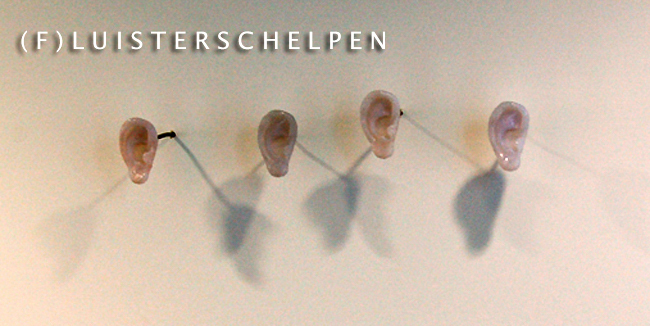 L U I S T E R S C H E L P E N / L I S T E N I N G S H E L L S [ 2 0 0 7 ] . 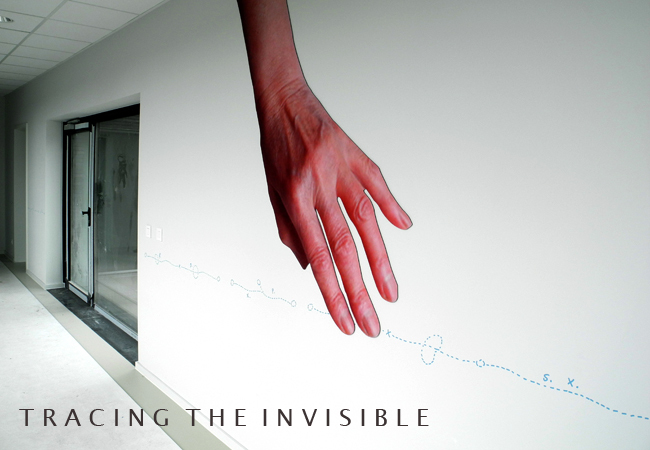 Installation [16 pieces] Health Care Centre De Sleep Ghent Belgium. V E N T I L A T I E [ 2 0 0 5 ] . In situ installation [Wit.h] Sint-Janshospitaal Bruges Belgium. O U R N E W T E R R I T O R I E S [ 2 0 0 5 ] . [Voorbij de Grens] De Brakke Grond Amsterdam NL. De Markten Brussel Belgium. 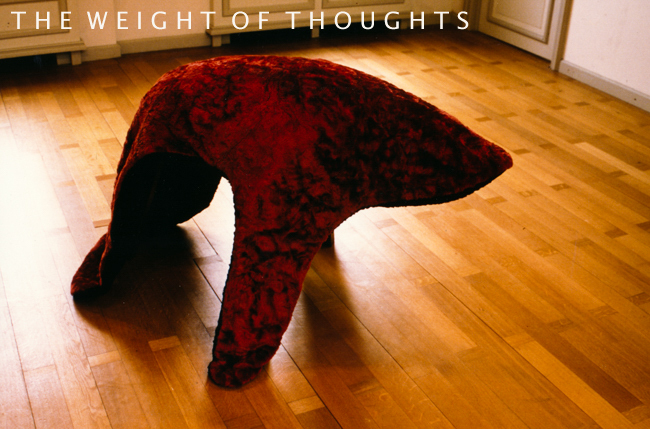 T H E N E R V A T E D S K I N/ D E G E N E R F D E H U I D [ 2 0 0 5 ] . 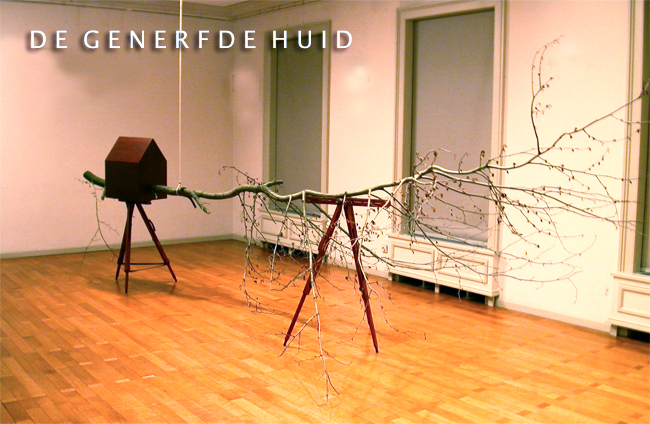 Installation 'De Generfde Huid/The Nervated Skin' Open Monumentendag 'Hout' CC Ter Vesten Belgium. 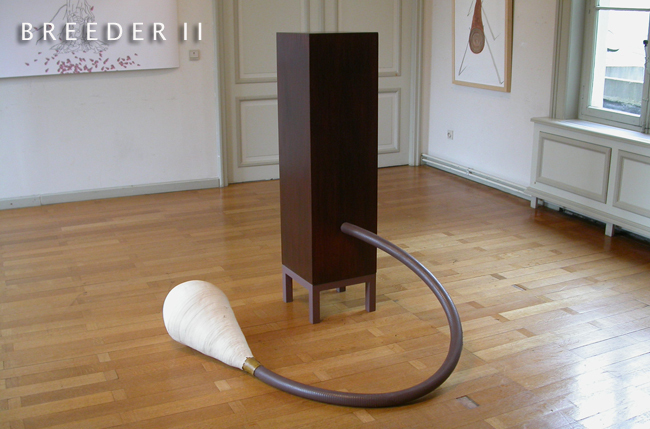 B R E E D E R ( I I ) [ 2 0 0 5 ] . W O R T E L I N G E N / R O O T E D [ 2 0 0 5 ] . 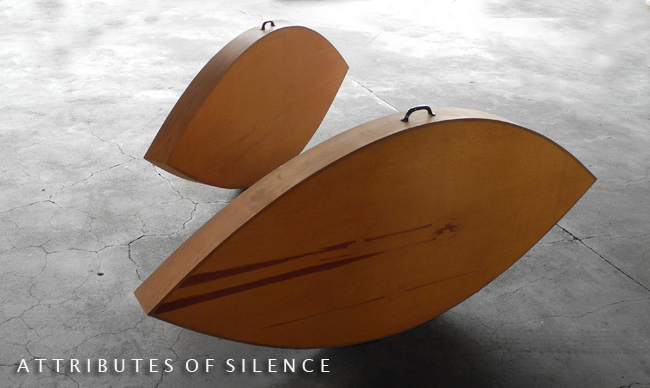 S T U D I O L O / S K I N [ 2 0 0 4 ] . 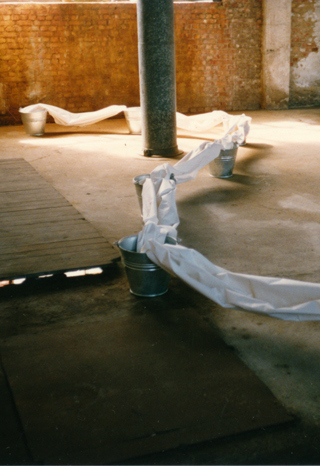 Installation based on 'San girolamo nello studio' Antonella da Messina. Public Library Zwijndrecht Belgium. C O R P O R E O V E L O [ 2 0 0 4 ] . 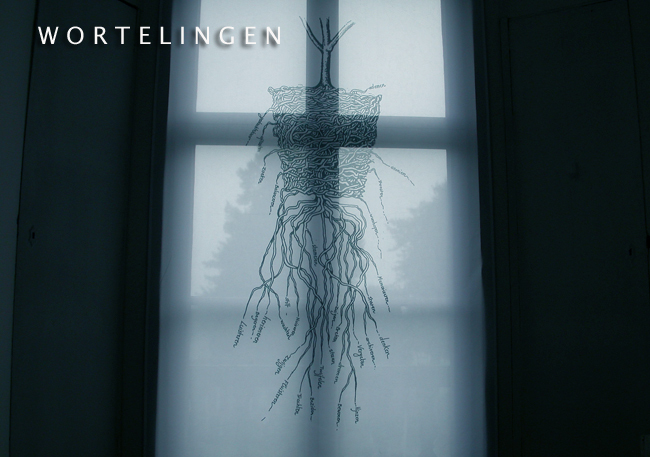 Installation 'Omtrent Melancholie' De Campagne Drongen Belgium. 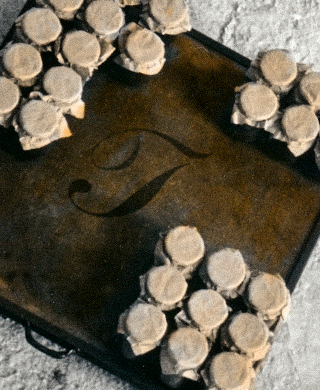 L I B R A R Y O F W A L K S [ 2 0 0 4 ] . Installation (reprise version II) Public walk project Kunst in Huis [Art Loan Days] Antwerp Belgium. 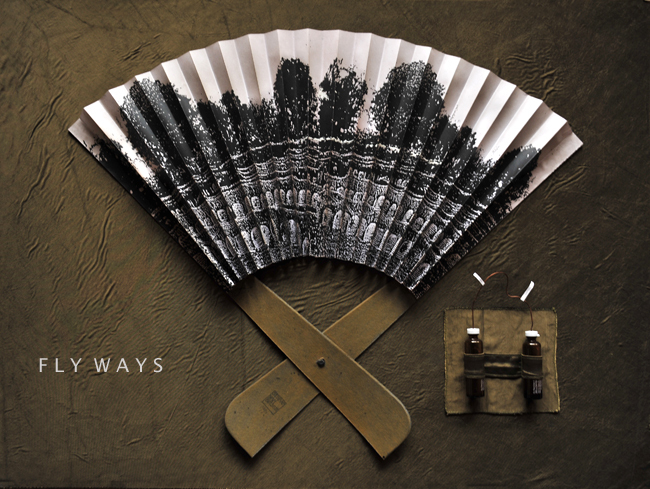 M O V I N G T O W A R D S T H E C I R C L E [ 2 0 0 3 ] . Installation 'Zwischenräume' Hittfeld Hamburg Germany. L I F E S T R E A M [ 2 0 0 0 ] . Installation [Het gewicht van vuur / the Weight of Fire]. CC De Poort Zonnebeke Belgium. 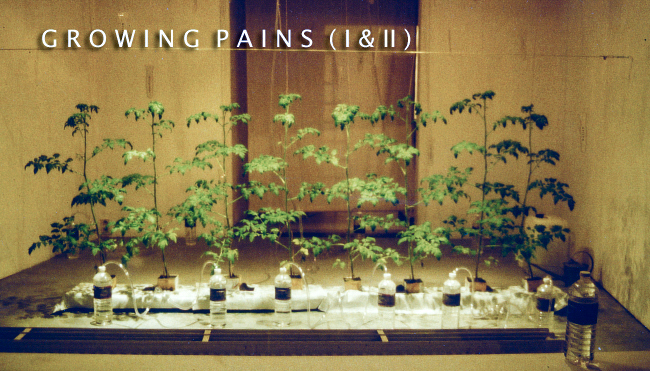 G R O W I N G P A I N S [ 1 9 9 9 ] . Greenhouse installation with artificial lightning. Buda Gallery Borgerhout Belgium. 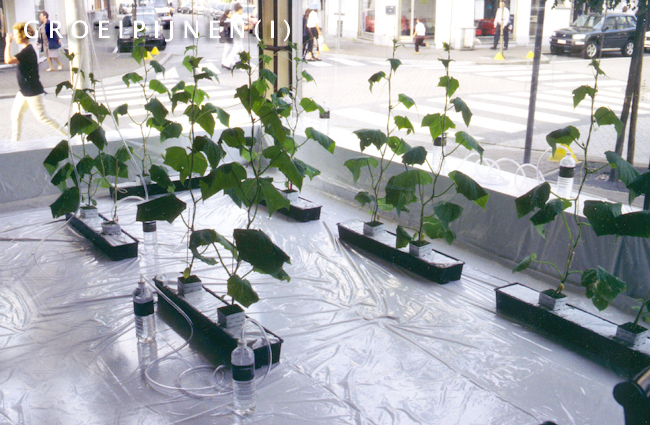 Greenhouse installation with artificial lightning. Abandoned place. CC Berchem Berchem Belgium. Panorama with beehives in landscape. C H O C O L A T E J U N K I E [ 1 9 9 8 ] . Self portrait as a chocolate sculpture. 'Corpus' CC Ter Vesten Beveren Belgium. 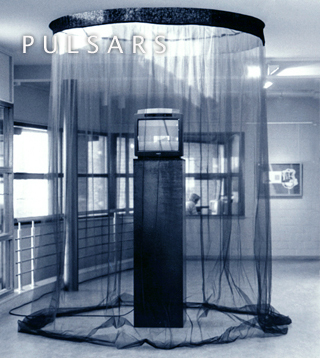 P U L S A R S [ 1 9 9 7 ] . Video installation registration bats walk. 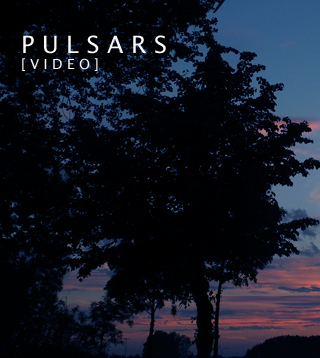 Sound: pulsars of bats. OC 't Waaigat Burcht Zwijndrecht. F L Y W A Y S [ 1 9 9 7 ] . Nature Morte. 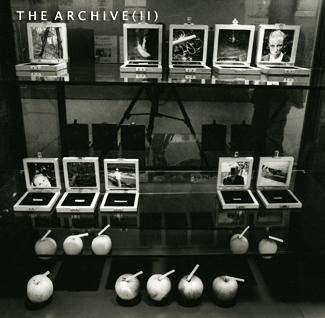 Museum Van der Keelen [Museum M] Leuven Belgium 1997. 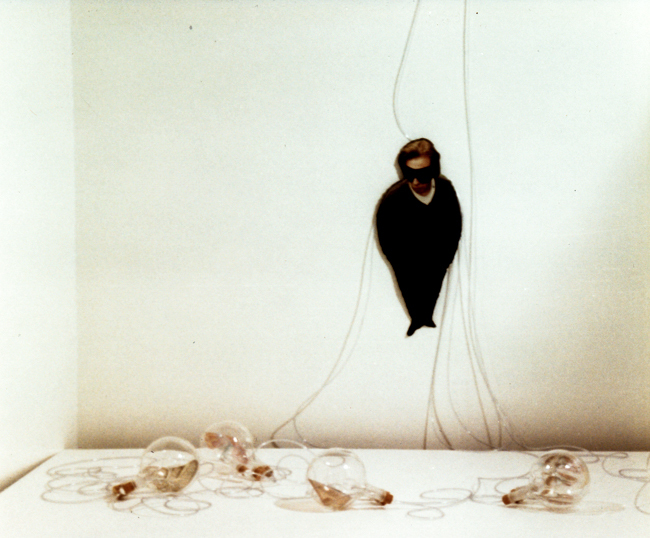 T H E A R C H I V E ( I ) [ 1 9 9 6 ] . 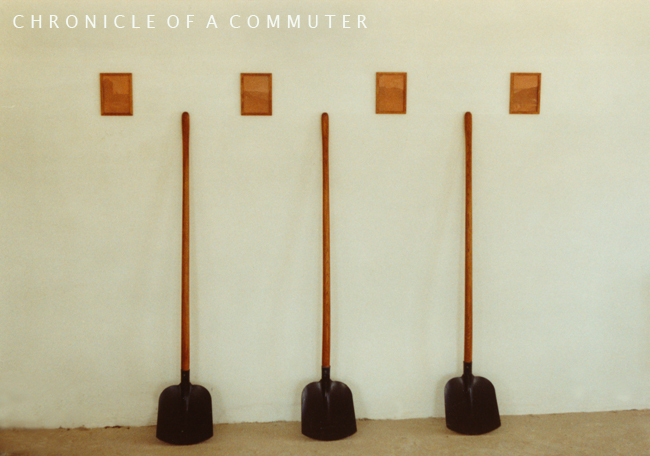 Installation with 365 words to define a man/lost memories. 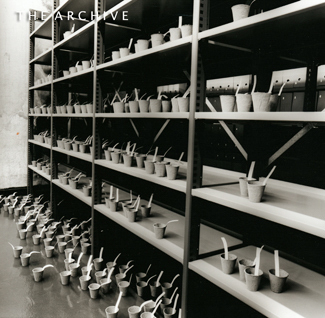 The city archive & Library Sint-Niklaas Belgium. E S P I N A Ç O / C O R P U S [ 1 9 9 6 ] . 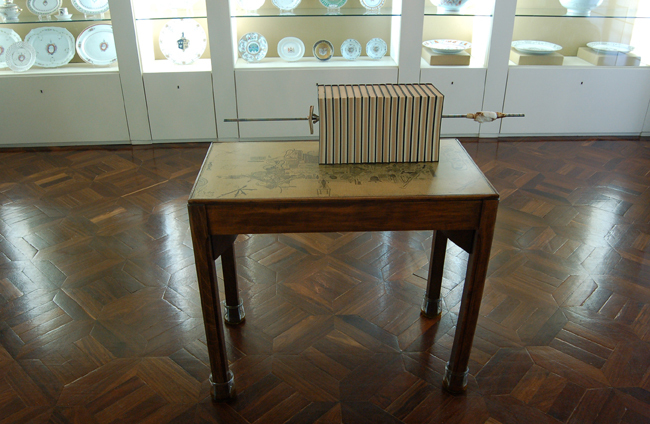 Installation in private house. Shape is based on a dragonfly and human body. L E T T E R S T O A T R E E [ 1 9 9 6 ] . 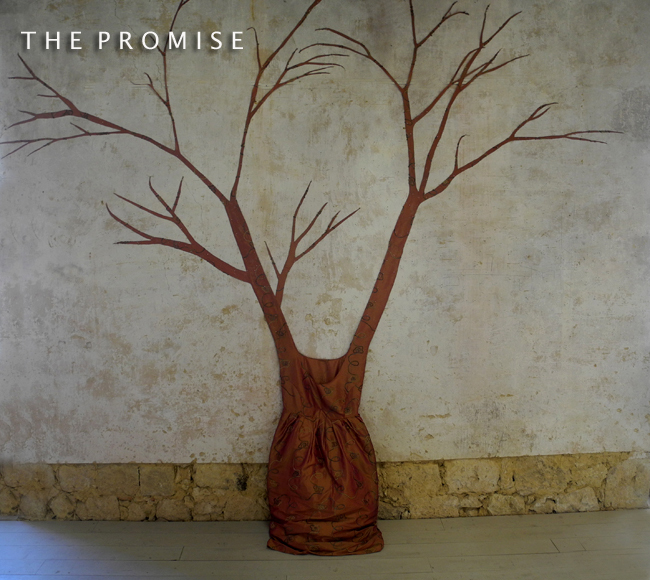 Presentation of a conrespondence with a tree. CC Heusden Zolder / 'Omtrent Melancholie' Drongen Belgium. L E S M Â I T R E S D U S I L E N C E [ 1 9 9 6 ] . 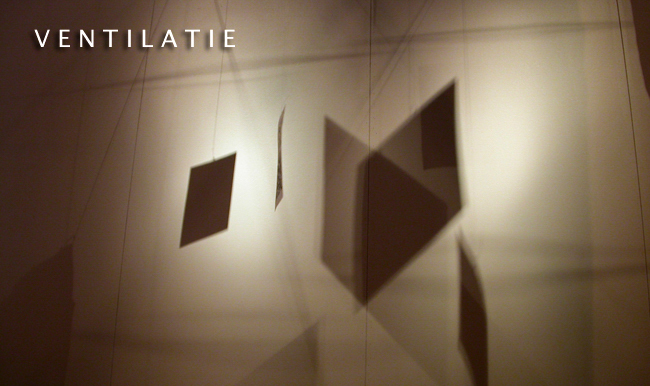 Installation [Vierkante Zaal] SASK Academy of fine arts Sint-Niklaas Belgium. S O N A N D H E I R [ 1 9 9 6 ] . 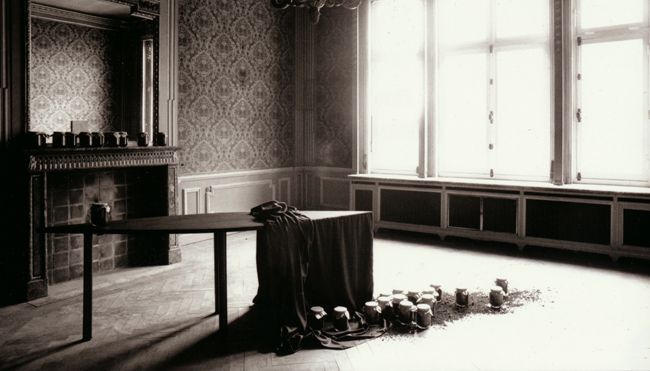 Private house 'De Gastenkamer / Guest Chambre' installation & private performance Sint-Niklaas Belgium. T H E W E I G H T O F T H O U G H T S [ 1 9 9 6 ] . Presentation attribute for a performance. 'Corpus' CC Ter Vesten Beveren Belgium. T H E T I M E M A R K E D [ 1 9 9 5 ]. 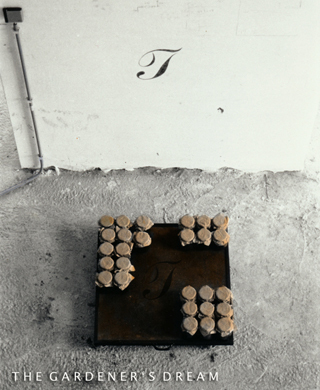 Installation with propolis, honey and books. Museu Nogueira da Silva Minho University Braga Portugal. 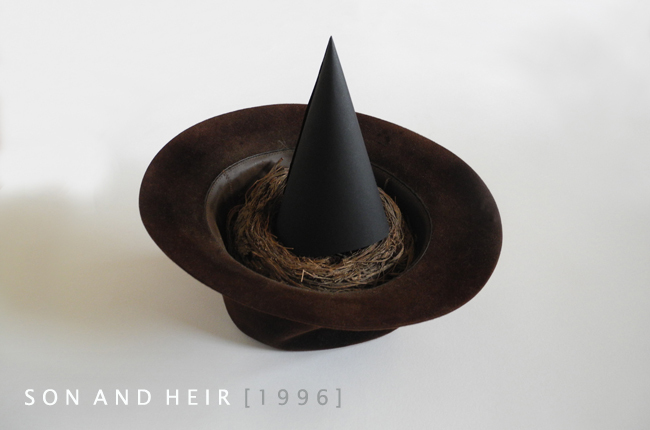 S E T T L E D ( N E V E R H O M E) [ 1 9 9 5 ] . 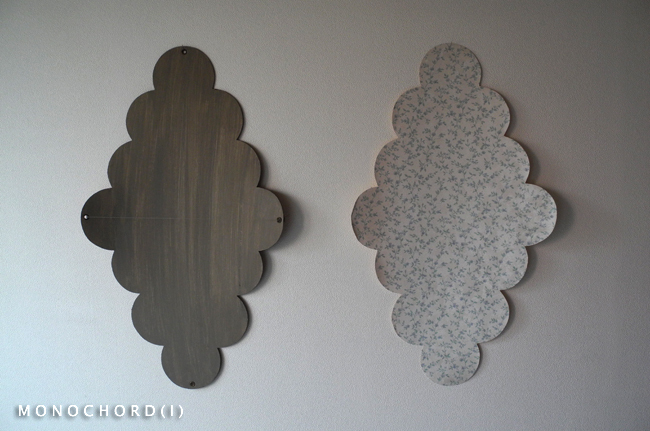 Installation Karton project. 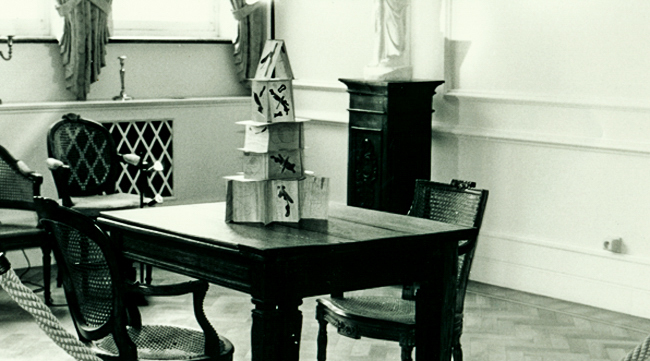 Cardboard boxes with historical scale model of existing tower. Wielsbeke Belgium. 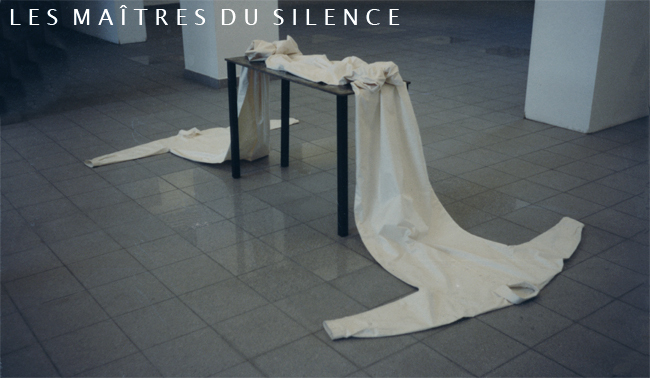 S L E E P E R I (Narcissus) & II (My little Adorno) [ 1 9 9 5 ] . 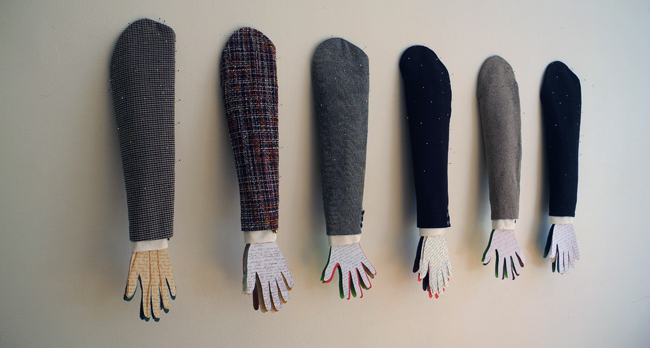 Wall installation with paper objects. Karton project. Wielsbeke Belgium. I N S T R U M E N T S T O W A N D E R/ M O N O C H O R D ( I ) [ 1 9 9 5 ] . In situ installation Karton art project. Wielsbeke Belgium. M Y U N M O V A B L E L O N G I N G S [ 1 9 9 5 ] . In situ installation for a travelling art project Rasa vzw Belgium. G U A R D A I N F A N T E S [ 1 9 9 4 ] . Installation Fort Ellewoutsdijk the Netherlands. Several locations in Belgium. 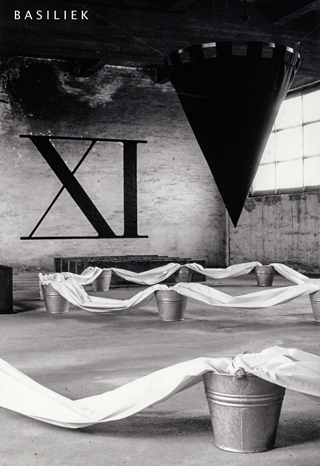 I N D E X . H A N D W R I T I N G S [ 1 9 9 3 ] . Herman Teirlinckhuis Beersel 1998 & 'De Gastenkamer' [Huis Meurechy] Sint-Niklaas Belgium 1996. A T T R I B U T E S O F S I L E N C E [ T H E G A R D E N E R ' S T A B L E ] [ 1 9 9 2 ] . 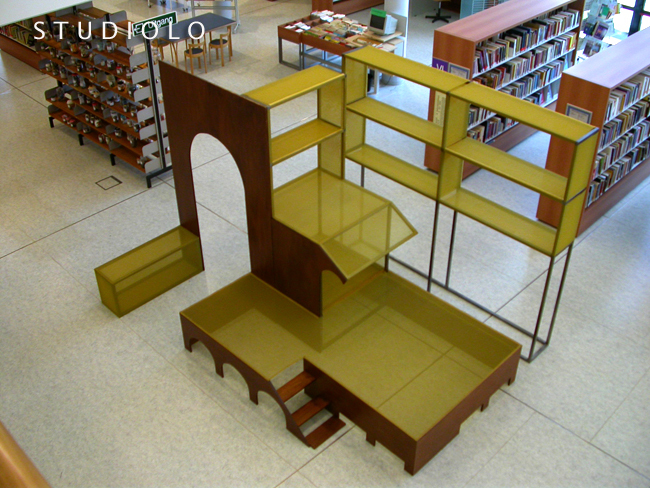 Installation 'Salon' Salons Schone Kunsten Sint-Niklaas Belgium. A T T R I B U T E S O F S I L E N C E ( I I ) [ 1 9 9 2 ] . A T T R I B U T E F O R I , S I S Y P H U S [ 1 9 9 2 ] . Portable library. 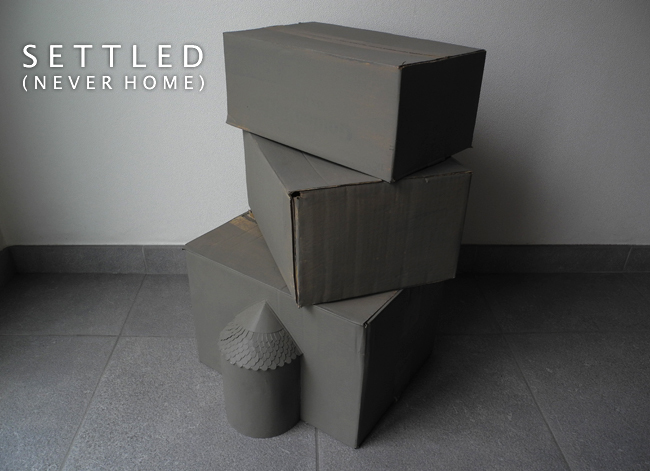 'Undefined Is My Load' CC De Ster Willebroek Belgium. Public Library Zwijndrecht 2005. T H E G A R D E N E R ' S D R E A M [ 1 9 9 2 ] . 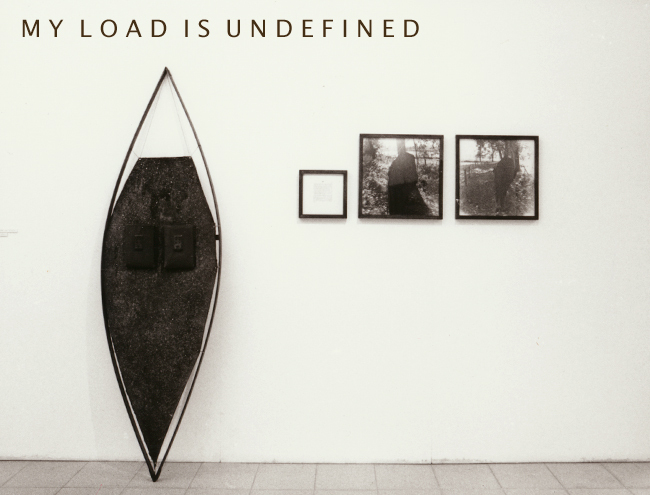 'Undefined Is My Load' CC De Ster Willebroek 1994 Belgium. T H E G A R D E N E R ' S D R E A M ( I I ) [ 1 9 9 2 ] . C H R O N I C L E O F A C O M M U T E R [ 1 9 9 2 ] . 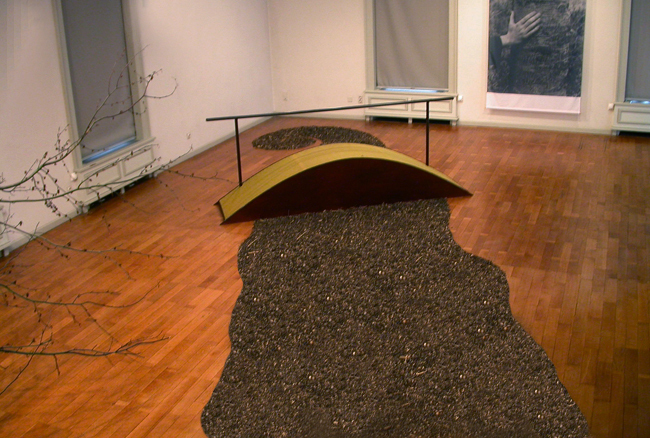 Installation with landscape [copper paint] 'Undefined Is My Load' CC De Ster Willebroek 1994 Belgium. B A S I L I E K [ 1 9 9 2 ] . 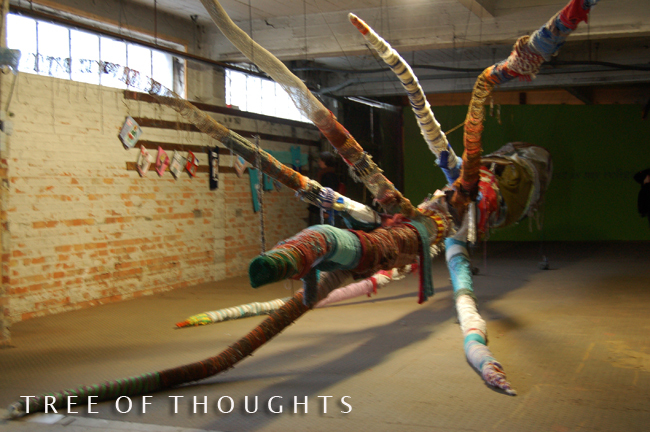 Installation in an abandoned brewery. Baasrode Belgium. 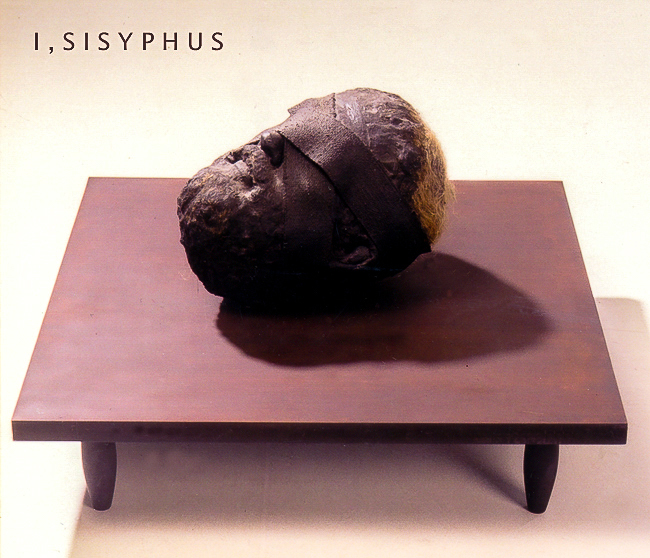 I , S I S Y P H U S [ 1 9 9 1 ] . Sculptured head on wooden table. Private collection. E Y C K [ 1 9 9 1 ] . 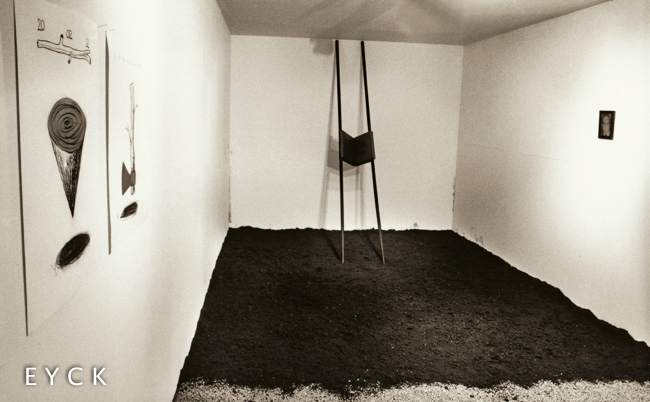 Installation & drawings. Exhibition KWKK. Museum Sint-Niklaas Belgium. [homage art critic Frans van Eyck]. 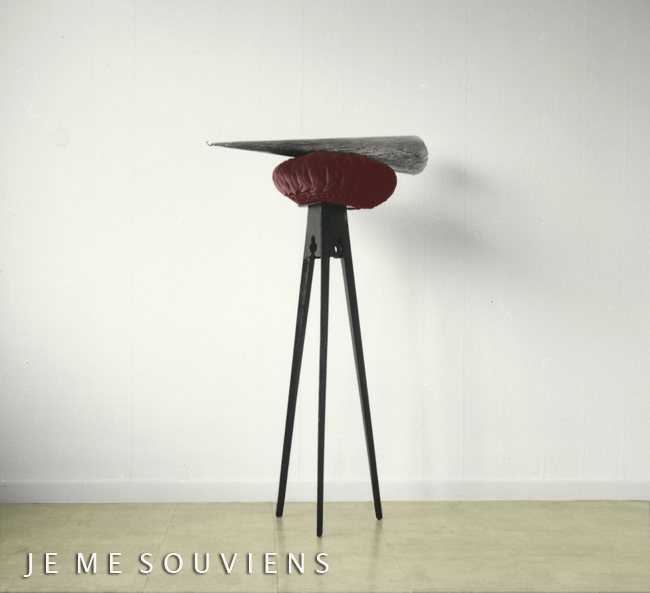 J E M E S O U V I E N S [ 1 9 9 1 ] . 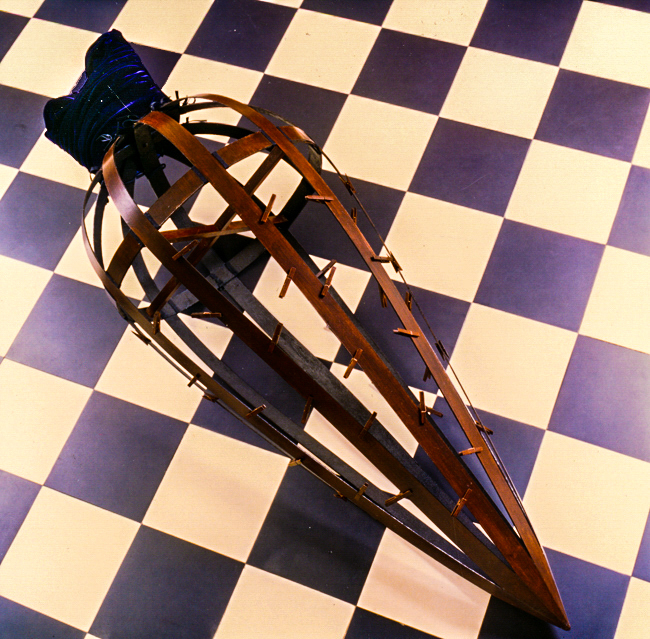 Installation with cone on a velvet cuchion and wooden tripod. Melsele Belgium. C O R P U S (feminine><masculine) [ 1 9 9 1 ] . Installation KKWK [Rekkem space] annex city museum [STeM] Sint-Niklaas Belgium. M Y L O A D I S U N D E F I N E D [ 1 9 9 0 ] . Presentation of a 2 days walk. Prop and photos walk. De Vierkante Zaal SASK Sint-Niklaas Belgium.